Do you have a passion for blogging or photography? Join us for a fun food styling workshop with Wendling & Boyd. We’ll be teaching how to compose a compelling photo along with developing story around your image. 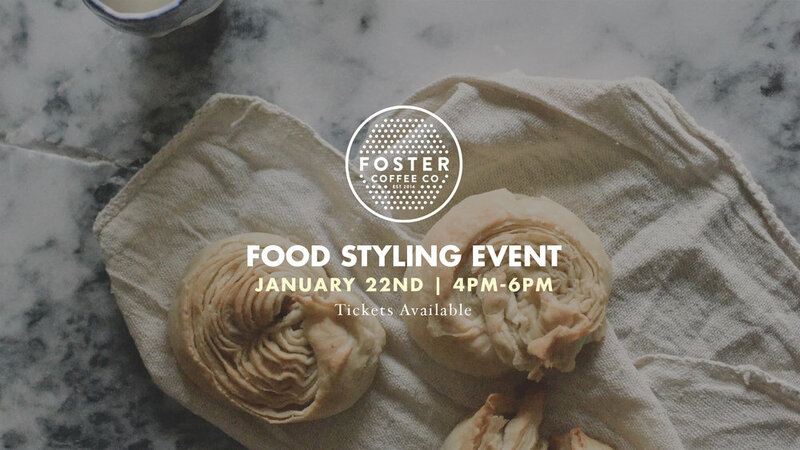 Bring your camera’s, something to write on, and a smile for this unique event at Foster Coffee Co.
Tickets are $20 and include admission, pastries, and drink.